Walt Seil was born in Issaquah in 1920 to Edward Seil and Josephine Wood Seil. He had seven brothers and sisters, many with family remaining in the area. Walt was interviewed in 2006 by Maria McLeod as part of IHM’s oral history project. Walt talks about growing up in Issaquah on a ranch and in Snoqualmie where his father was a logger. 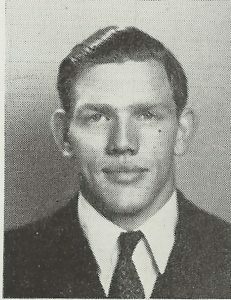 He also talks about accidents he had, Alpine Dairy Football Team, and his role in WWII. He was a great story teller.